Enter new students and class changes. Make sure to use the actual dates of the transaction not the current date. 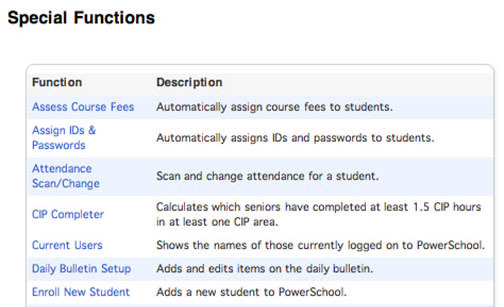 #1 Select Special Functions from the Main PowerSchool Menu. #2 Choose Enroll New Student from the Special Functions Menu. #3 Fill in the blanks on the Enroll New Student Page. 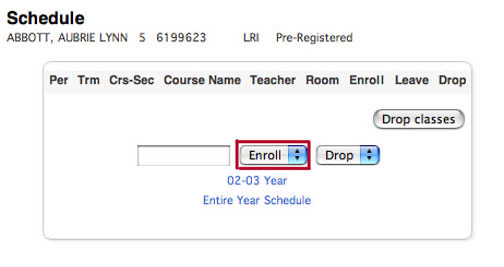 #1 Select and pull down the Enroll menu to the period you wish to add. 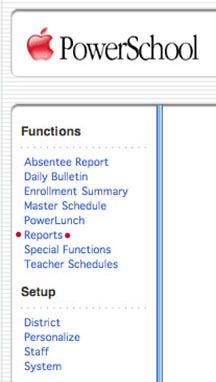 #2 Click on a class to add it to the student's schedule. The red numbers under Enrollment are current enrollment, black is Max enrollment. 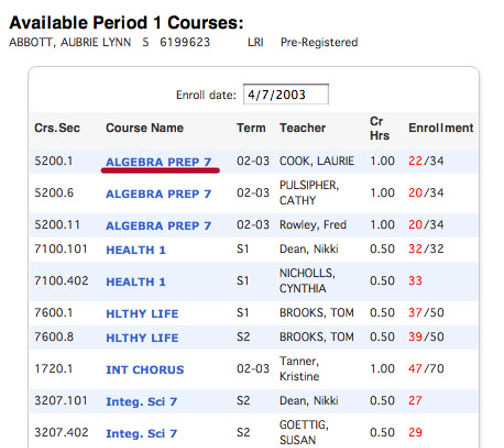 Note Term, Teacher, Credit Hours and Course and Section Numbers are also listed. 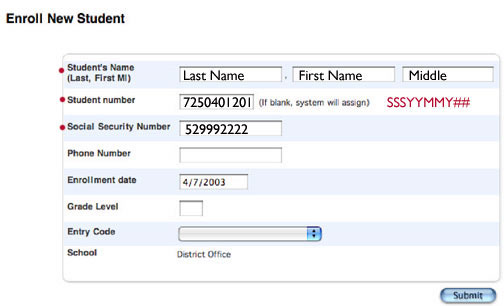 If the student is entering on a different date change the Enroll Date at the top of the page. Continue to add classes by repeating Add Classes steps 1 and 2.